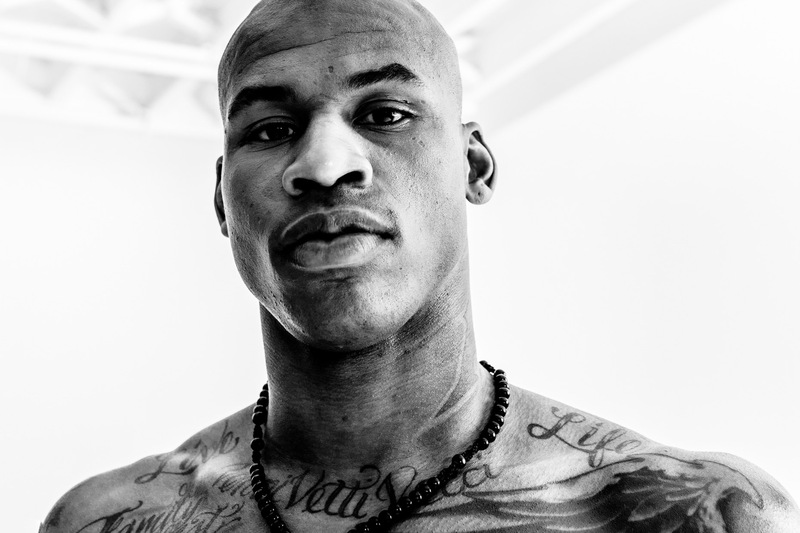 Al Harrington was a badass basketball player for the New York Knicks in the NBA. We photographed him for professional sponsorship of a sneaker line called Protege, featured at Kmart. He created this authentic sneaker company to connect with the poor kids, the urban warriors on the gritty courts of inner city neighborhoods that can't afford expensive kicks. It was an emotion driven shoot, we piggybacked with broadcast, and he didn't arrive until late. It wasn't hard to capture authentic moments though. This sport portrait was created by dramatic basketball photographer Andy Batt.